Click on Deccan Chronicle Technology and Science for the latest news and reviews.Follow us on Facebook, Twitter. The story of Swiggy’s founders is one where they needed to be lost in order to find their actual passion and success that would come along with it. There were roadblocks, setbacks but down the line, we all know how high Swiggy is on the ladder today. It all started when one of the founder Sriharsha Majety quit his job in London and came to India to pursue his entrepreneurial dreams. He didn’t have any networks in the start-up circuit and thus decided to plunge in all by himself. This is where he got into talks with one of the co-founders- Nandan Reddy. Both of them saw a lot of potential in the unorganized logistics sector of India and thus took up the onus of building a logistics company called Bundl. The company provided logistics and shipping services for the e-commerce industry in a revamped consumer-friendly manner. However, things for Bundle did not go as smoothly as expected. The founders needed someone who could bring the right technology in to create good functioning. They had to hesitantly contract the building of this tech and by the time the product was finished the market had changed rapidly. Websites like Flipkart and Amazon had decided to build their own shipping services which is why Bundl’s market became smaller. Soon Bundl’s operations shut within a year. But here is where things got interesting. They saw that Ola and Uber were hyperlocal aggregator apps. Thus they looked around and conceptualized the start of a hyperlocal delivery app and Swiggy came into being. During this initiation, they got in Rahul Janimini to do the coding for the online food delivery system. Swiggy began its first round of funding in 2015. The two companies that pitched in a total of USD 2 million, were called SAIF Partners and Accel, both are venture capital firms. In the second round in 2015, another firm- Northwest Venture- joined the former two and they raised 16.5 million USD together. The Series C of Swiggys funding rounds got them USD 35 million from new ( RB Investments) and existing investors. Very close to the occurrence of this came in Series D which brought in USD 15 million led by Bessemer Venture Partners. The company at this point was worth USD 320 million. In 2017 the funding venture was led by Naspers who contributes USD 80 million. 2018 has seen two of the biggest funding rounds already for Swiggy with Naspers and DST global coming in with a total of USD 310 million. At the end of the first round of 2018, Swiggy became the second food-tech unicorn in India after Zomato. Swiggy in 2014 started off with a small office in Koramangala in Bangalore. They had initially partnered with 24 restaurants and 6 delivery executives. But now the company has a large pan-metro-city presence. 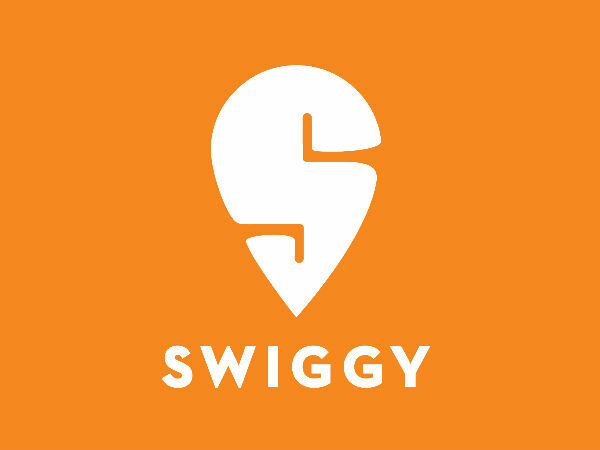 Swiggy now operates with a massive force of 35000 restaurant partners and over 55000 delivery executives in across 15 cities in India. The cities in which it is currently present include Delhi, Mumbai, Pune, Bangalore, Hyderabad, Chennai, and Kolkata. Because of its overall average delivery time of 37 minutes and inexpensive delivery charges Swiggy has quickly risen to the top of India’s online, hyperlocal delivery market. To stay at the top is not an easy task and thus the company is constantly creating and presenting new ventures. This includes Swiggy Pop, Access, and Schedule. “We are made to lie about our market share, as well as order volumes to restaurant owners. The worst part is that instead of helping these restaurants grow their business, we are trained to arm-twist them to increase our commissions every couple of months. He also went on to dismiss most of Swiggy’s claims related to the treatment of personnel and research initiatives. This story, however, did not receive too much traction from media houses. It was also reported that a few restaurants have backed out from their services because of their low commission rates, unreliable logistics, irregular deliveries, and overall untrustworthy services. Swiggy in 2018 has grown to be one of the biggest and youngest start-ups in India’s ecosystem because of its habit of continuously evolving. 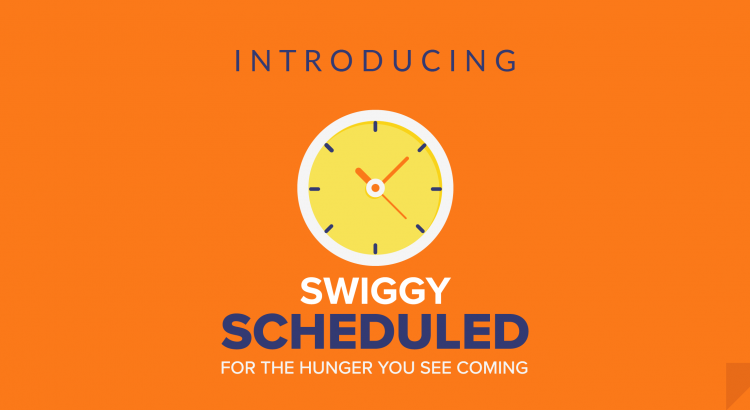 It recently started a service called Swiggy Scheduled which allows customers to pre-order their meals. The initiative is already showing the signs of success. It has also acquired the Asian food start-up called 48 East. The company used to previously deliver oriental cuisine and is now a branch of Swiggy. According to company’s blog, a lot of growth is scheduled for the future. They plan on setting up cloud kitchens and introduce new services like delivering groceries and medicine. There has been a consistent increase in performance on the start-ups end. The same is expected in the future too. Swiggy as a relatively young company is projected by experts to have a lot of potential. However, even in this short span, a lot of good has happened for the company and a lot has gone wrong too. 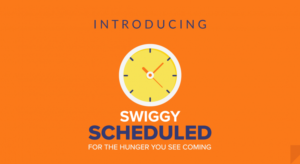 The forthcoming years will be sure to tell if Swiggy is here for the long haul or its successes were only shortlived. In 2015, the company founded ET Lab, an R&D unit that focuses on the development of emerging technology and applications in logistics. In a surprise appearance at last week’s Cainiao’s Global Smart Logistics Summit, Chinese tech tycoon Jack Ma announced that Cainiao Network, the logistics affiliate of Alibaba, is going to invest more than RMB 100 billion ($15 billion) to build the technical backbone for a smart logistics network aimed at improving delivery reach and efficiency. (Read our live blog of the event for a blow-by-blow of the speech). Thanks to the exponential growth of e-commerce industry, China’s logistics landscape has undergone massive changes in recent years. 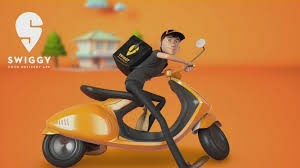 Ma noted that the industry started from zero parcels generated by e-commerce to now delivering 130 million parcels per day, while there are about 5 million people working at courier and food-delivery companies in the country, and seven delivery companies have gone public. While the growth trajectory of the logistics industry shows no sign of slowing down, it is a no-brainer why the tech giant is taking huge bets on the logistics business. Cainiao wants to eventually ensure single-day delivery across China and 72-hour delivery worldwide. Here’s how they say they will meet that goal. Despite the surge, the logistics industry is labor-intensive, Ma pointed out. “This growth is rooted in the hands and on the shoulders of millions of deliverymen, but I believe it’s going to be driven by mental labor in the future.” A top exec from China’s top logistics company admitted at the event that their deliverymen don’t really benefit from company growth because their salary is still largely determined by how many parcels they can deliver. As a technology-driven socialized logistics collaboration platform, Cainiao has been working on the application of cutting-edge technologies in the logistics industry since its establishment five years ago. In 2015, the company founded ET Lab, an R&D unit that focuses on the development of emerging technology and applications in logistics. At last week’s event, the company showcased the first Cainiao Future Park, featuring intelligent management at a large scale. The Future Park has cutting-edge technologies, such as Long Range (LoRa)-IoT, edge computing and artificial intelligence, introduced the company. Sensors are installed in the Park’s infrastructure system and, through the LoRa network, meters that monitor the water, electricity, temperature and humidity conditions can report in real-time. Of course, application of technologies goes far beyond large-scale management solutions. By using AI technologies, Cainiao has developed an agile automated warehouse system that enables a large number of robots to work collaboratively in warehouses, creating an efficient end-to-end warehouse automation solution. Inside the smart warehouses, packages are processed on completely automated assembly lines equipped with robotic arms and over 500 AGV (Automatic Guided Vehicles) robots are on the floor for fast product pickup and delivery. The automation is expected to save warehouse staff some 50,000 steps per person per day. Cainiao’s ET Lab has been tinkering with its driverless delivery vehicles over the past year. Zhang Chunhui, head of ET Lab told TechNode that the company is applying the technology in two different use cases: the autonomous driving trucks for long-distance delivery and driverless vans for intra-city delivery. “We are developing highway autonomous driving truck fleet in partnership with FAW Group Corporation, a Chinese state-owned automotive manufacturing company. We call it ‘high-speed railway for trucks’, Zhang introduced. For last-mile delivery, Cainiao’s ET Lab has two major products– “Little G” and “G Plus”. Equipped with a multi-sensor navigation system that includes 3DLidar, cameras and X-ray sensors, G Plus can achieve high-precision navigation through 3D modeling. “Instead of laser radar, G Plus it uses MEMS (Micro-Electro-Mechanical Systems). It will cut almost two-thirds of the cost as compared with traditional solutions, facilitating the mass production of driverless vans,” he added. G Plus can go at a speed of 15 miles per hour. This speed makes sure it’s more efficient than human but won’t cause any security concerns in city, according to Zhang. Little G is already being used on Alibaba’s campus. G Plus is currently in road tests and the plan is to come to commercialization end of this year. While still at an early stage towards its full digitalization, the logistics industry has multiple options and paths to take. Compared with its competitor JD, which put bets on both driverless vans and drones, Alibaba put most of its resources on autonomous vehicles for last-mile delivery. “We believe heavy unmanned aerial vehicles for large and long-distance cargo delivery will have better application prospects. Small drone for last-mile delivery still faces lots of problems, like security, regulation, and stability. But it’s a matter of choice based on the scenarios and the company’s current resources and research background,” said Zhang. “This network was established by Cainiao, but it doesn’t belong to Cainiao. It belongs to all logistics companies. Logistics companies are Cainaio’s most important partners … we need to provide our partners with core technology and core products to make our logistics partners stronger,” Jack Ma noted at the speech. Alibaba does not operate a self-owned logistics infrastructure but uses Cainiao to build a logistics network of delivery firms. Without direct competition, Cainiao is becoming increasingly integrated with logistics partners. Last week, Alibaba Group and Cainiao Network joined a $1.38 million funding in China’s top express delivery company ZTO Express in exchange for an approximately 10% equity stake in the company. Under the agreement, Cainiao and ZTO will deepen collaboration from delivery and warehouse management to technology. In the Future Park project, Cainiao only provides the overall intelligent solution to its warehouse partners, helping existing warehouses to upgrade their management systems and improve efficiencies. On top of that, it’s up to the warehouse operators to determine the scale and timeframe in adapting the solution. “The openness of Cainiao’s services and solutions is determined by the Taobao ecosystem,” explained a Cainiao spokeswoman. JD operates its own marketplace and logistics infrastructure, so they can predict the growth trajectory and make corresponding warehouse upgrading plans. On the other hand, Alibaba’s marketplaces consist of millions of retailers. Orders could be very diverse and complex, and it is difficult for warehouses to meet the demands of e-commerce business that have peak and slow seasons, so it’s better to provide agile upgrading plans. Alibaba’s global vision is one of the key reasons for what the company has achieved so far and the mindset is shaping Cainiao’s future. This network is not only national but also global. Cainiao’s global network will support 72-hour delivery across the world, starting from countries and regions involved in China’s Belt and Road Initiative. “World trade will change because of logistics. Global trade will go from containers to packages, from trading between countries to trading between companies. All this change, we should be ready to prepare and fight today,” Jack Ma explained. Millennium Management Limited Company, a New York-based fund reported 88,690 shares. Alliancebernstein L P holds 0% or 31,700 shares. Oberweis Asset Management invested in 0.12% or 84,585 shares. Numeric Lc holds 0% in Radiant Logistics, Inc. (NYSEAMERICAN:RLGT) or 30,600 shares. Investors sentiment decreased to 1.03 in 2017 Q3. Its down 0.66, from 1.69 in 2017Q2. It turned negative, as 8 investors sold Radiant Logistics, Inc. shares while 29 reduced holdings. 8 funds opened positions while 30 raised stakes. 17.29 million shares or 2.80% more from 16.82 million shares in 2017Q2 were reported. Invesco Limited reported 0% stake. Rhumbline Advisers has 0% invested in Radiant Logistics, Inc. (NYSEAMERICAN:RLGT) for 39,467 shares. Thompson Davis reported 0.02% stake. Legal & General Plc reported 6,666 shares or 0% of all its holdings. Moreover, Acadian Asset Limited Co has 0% invested in Radiant Logistics, Inc. (NYSEAMERICAN:RLGT). Bb&T Lc stated it has 61,096 shares. Millennium Management Limited Company, a New York-based fund reported 88,690 shares. Alliancebernstein L P holds 0% or 31,700 shares. Oberweis Asset Management invested in 0.12% or 84,585 shares. Numeric Lc holds 0% in Radiant Logistics, Inc. (NYSEAMERICAN:RLGT) or 30,600 shares. Wasatch Advsr reported 572,440 shares. 26,774 are owned by Nationwide Fund Advisors. Goldman Sachs Gru reported 0% stake. Wells Fargo Com Mn reported 185,923 shares. Cadence Capital Mngmt Ltd Llc owns 157,212 shares for 0.05% of their portfolio. Analysts expect Radiant Logistics, Inc. (NYSEAMERICAN:RLGT) to report $0.05 EPS on February, 14.They anticipate $0.05 EPS change or 50.00 % from last quarter’s $0.1 EPS. RLGT’s profit would be $2.45 million giving it 23.00 P/E if the $0.05 EPS is correct. After having $0.05 EPS previously, Radiant Logistics, Inc.’s analysts see 0.00 % EPS growth. The stock increased 1.55% or $0.07 during the last trading session, reaching $4.6. About 77,171 shares traded. Radiant Logistics, Inc. (NYSEAMERICAN:RLGT) has risen 92.36% since February 8, 2017 and is uptrending. It has outperformed by 75.66% the S&P500. Radiant Logistics, Inc. operates as a third-party logistics and multi-modal transportation services firm primarily in the United States and Canada. The company has market cap of $225.84 million. The firm offers domestic and international air and ocean freight forwarding services; and freight brokerage services, including truckload, less than truckload, and intermodal services. It has a 127.78 P/E ratio. It also provides other value-added logistics services, such as customs brokerage, order fulfillment, inventory management, and warehousing services, as well as distribution solutions. More notable recent Radiant Logistics, Inc. (NYSEAMERICAN:RLGT) news were published by: Seekingalpha.com which released: “Radiant Logistics'(RLGT) CEO Bohn Crain on Q1 2018 Results – Earnings Call …” on November 10, 2017, also Prnewswire.com with their article: “Radiant Logistics To Host Investor Call To Discuss Financial Results For First …” published on September 08, 2015, Prnewswire.com published: “Radiant Logistics Acquires Service By Air” on June 08, 2015. More interesting news about Radiant Logistics, Inc. (NYSEAMERICAN:RLGT) were released by: Seekingalpha.com and their article: “A Critical Forensic Look At Radiant Logistics Strategy, Management, And …” published on June 08, 2017 as well as Seekingalpha.com‘s news article titled: “Is Radiant Logistics Too Cheap?” with publication date: July 13, 2016. Once the biggest competitor to Bengaluru-based online marketplace giant Flipkart, Gurugram-based beleaguered firm Jasper Infotech, the holding company of the erstwhile e-commerce major Snapdeal, on Friday sold its logistics arm Vulcan Express Private Limited in an all-cash deal to Kishore Biyani’s Future Supply Chain Solutions for Rs 350 million. Jasper Infotech has entered into an agreement with Future Supply Chain Solutions, retail giant Future Group’s organised third-party and logistics service provider, to sell 100 per cent stake in Vulcan Express Private Limited. This is the second garage sale that the Kunal Bahl and Rohit Bansal-led e-commerce firm has done after it sold its mobile wallet FreeCharge to Axis Bank for Rs 3.8 billion last year. Sources at Snapdeal said the Future Group would be onboarding the technology and also absorb the team of 75-100 odd employees into the company. While the Future Group is keeping its plans under wraps, industry insiders are of the opinion that Future Supply Chain Solutions will not only continue working with Vulcan’s present set of clients, but also bring in new ones, in addition to handling the logistics for its parent company. Vulcan Express is one of the few logistics firms in India that provides end-to-end solutions, including pick-up, consolidation, warehousing, intercity movement, last-mile delivery, payments collection, and reverse logistics. Operating pan-India, across 100 cities and 2,000 PIN-codes, its network is designed to provide GST-friendly supply-chain solutions, with capabilities sharply focused on the leading consumption centres in the country. The logistics company will also keep servicing Snapdeal’s orders. “Through Vulcan, we plan to boost our last-mile capabilities and also offer state-of-the-art solutions to our e-commerce and retail clients. This will also help us realise our disruptive vision of Retail 3.0,” Kishore Biyani, founder and chairman of the Future Group, said.Snapdeal had been making several attempts to sell Vulcan for the past two years. Earlier, the company was in talks with TVS Logistics, and Gati, among others, in this regard. Last year, Jasper Infotech had put in around Rs 270 million more into the arm. According to last year’s Registrar of Companies (RoC) filings, Vulcan Express had posted losses to the tune of Rs 200 million on revenues of around Rs 1.8 billion. Author hiswai publishingPosted on January 25, 2018 Categories CompanyTags Business, Economy, Economy of India, FreeCharge, Future Group, Gati Ltd, Jasper Infotech, Kishore Biyani, Logistics, Snapdeal, Vulcan Express Private Limited.